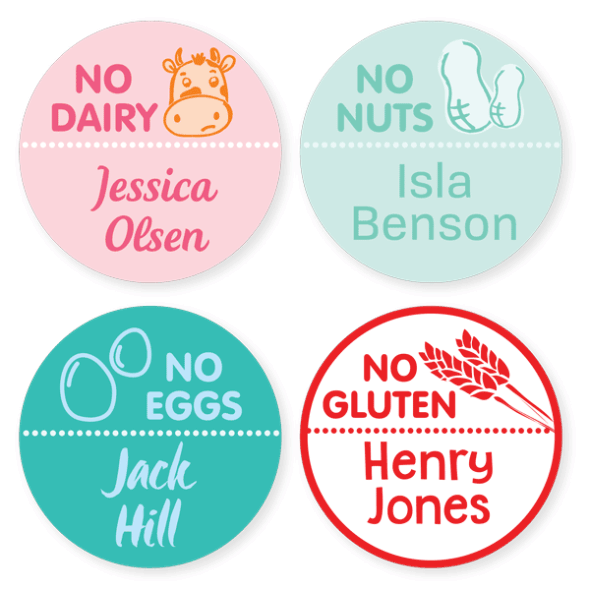 Whether they're going to school, daycare, kinder, nursery or on holidays, we have a label to suit every need. 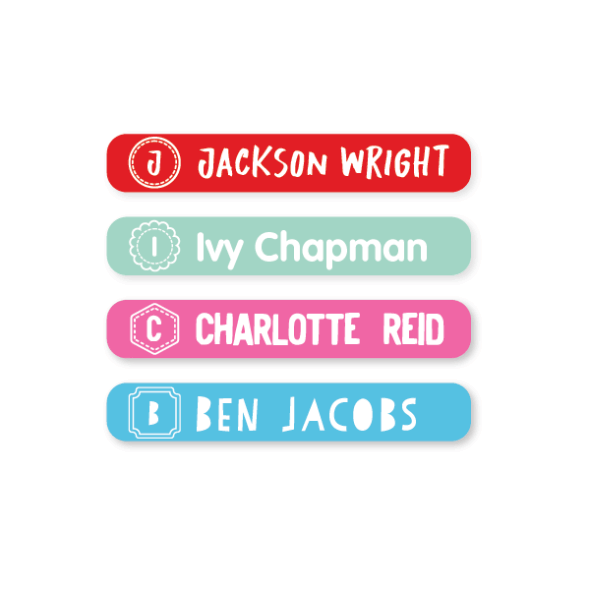 Use our high quality Personalized Name Labels for containers, drink bottles, books and stationery for school. 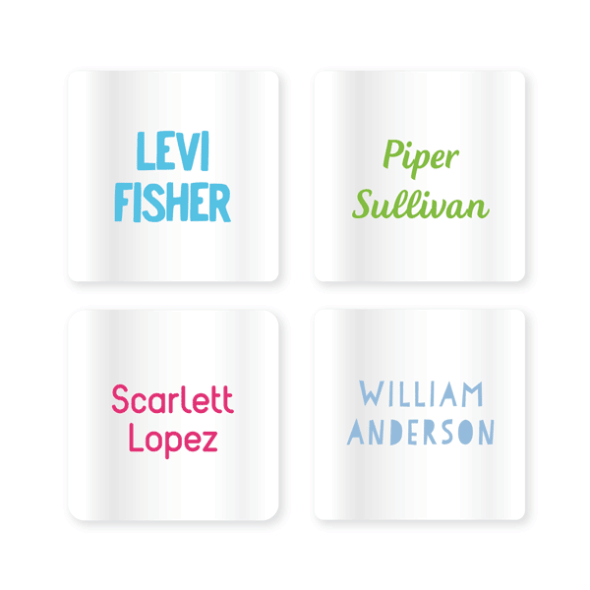 These are dishwasher and microwave safe, perfect for lunch boxes and snack containers. 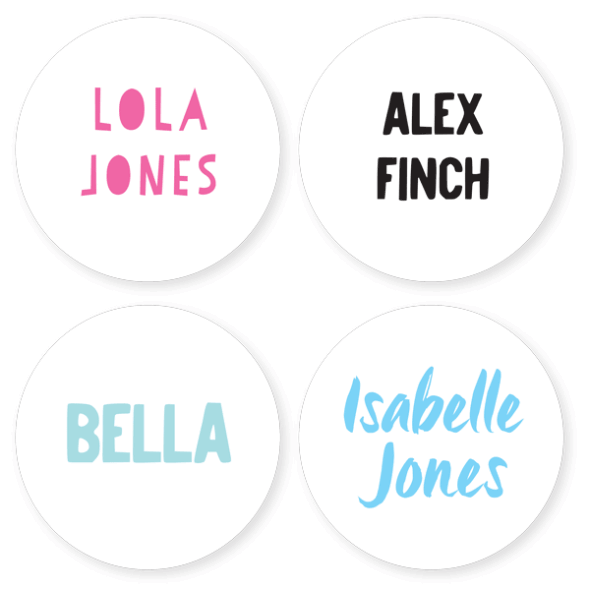 Need something for uniforms? 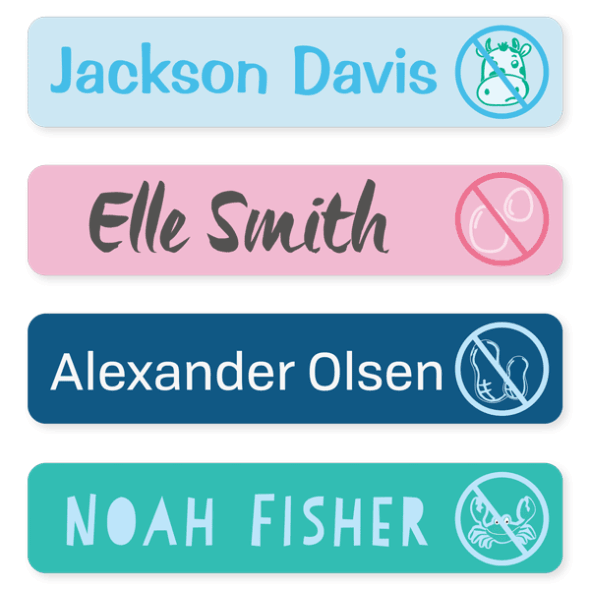 Use our permanent Iron On Clothing Labels for an easily recognizable solution that will keep sweaters and sports gear out of the Lost Property box. 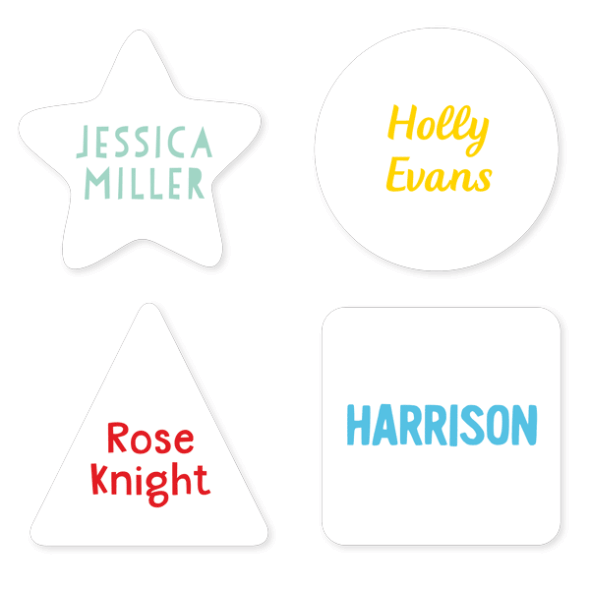 For a temporary label for fabrics, use our Stick On Clothing Labels. 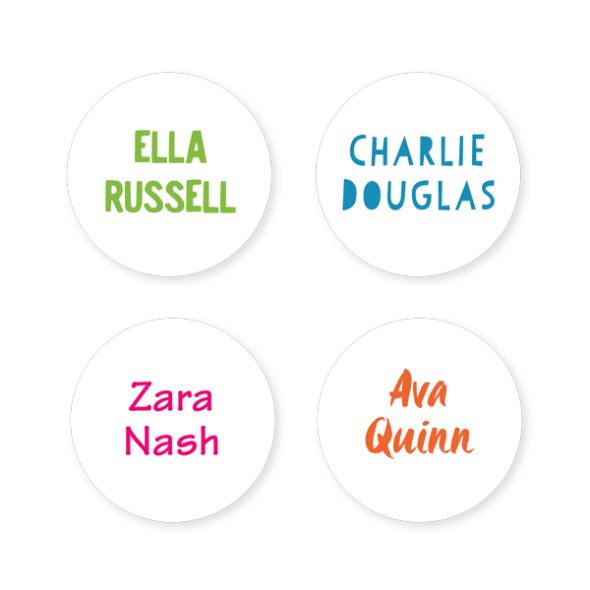 Perfect as an easy-to-use personalized name tag for school, camps and holidays. Want the best of both worlds? 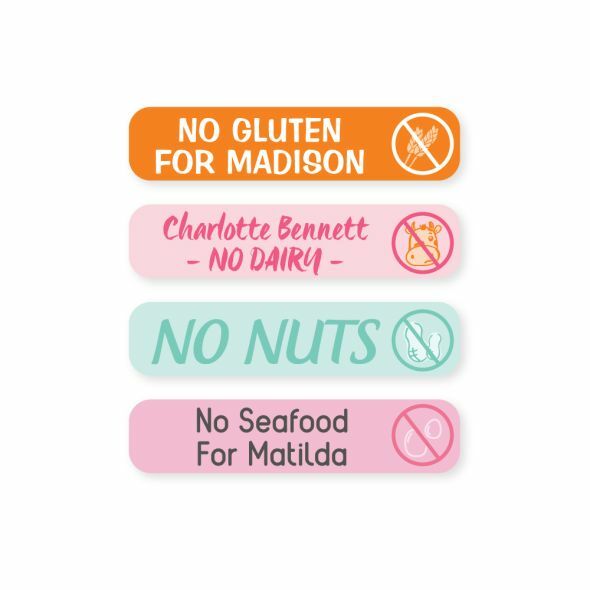 Opt for a Multi-Use Label instead - slap them on lunchboxes, stick them on sports gear or sew onto clothing. 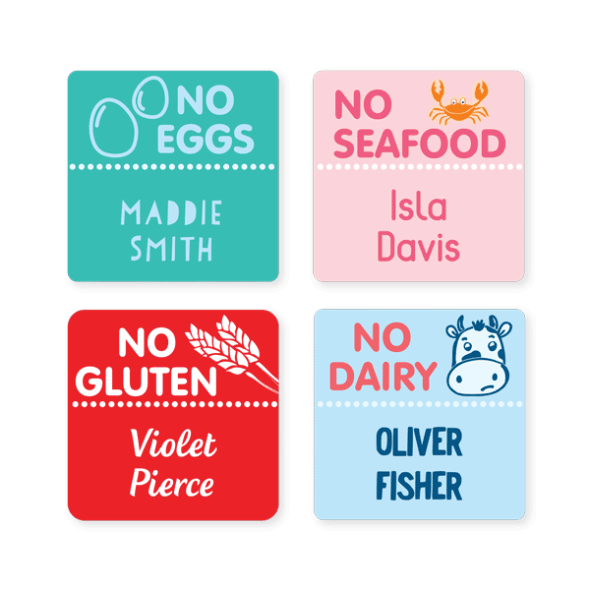 Labels face a lot of wear and tear which is why our adhesive is the best available and remains sticky in the dishwasher, microwave, washing machine and dryer depending on the label requirements. 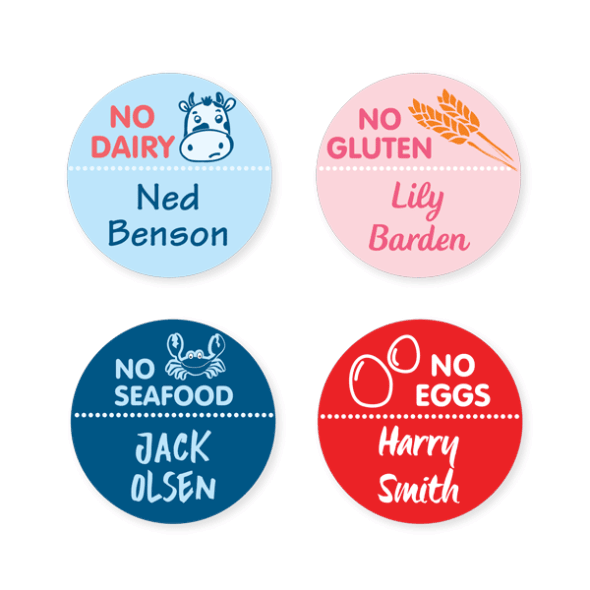 Our labels also have an additional scratch resistant coating. 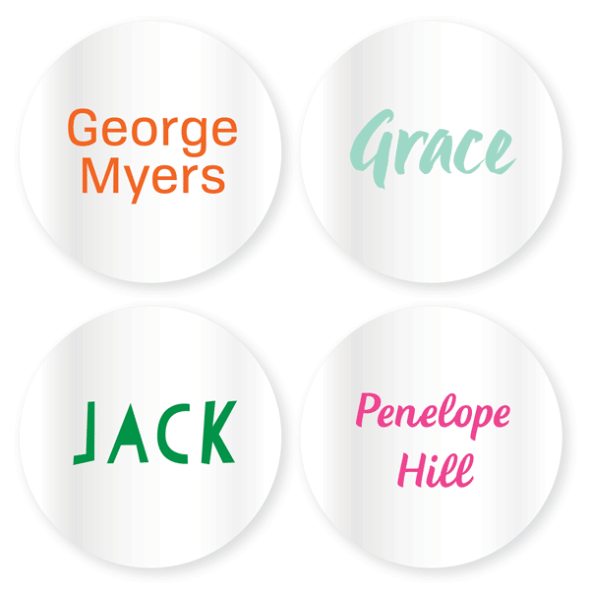 This means that the labels maintain their color, sharpness and vibrancy over repeated use without scratching, fading or smudging. 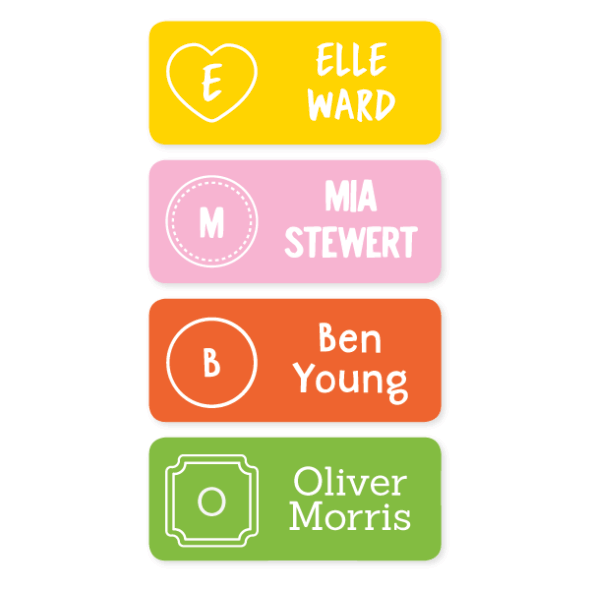 As our Labels stick and stay stuck on your belongings looking as bright and bold as the day you bought them. 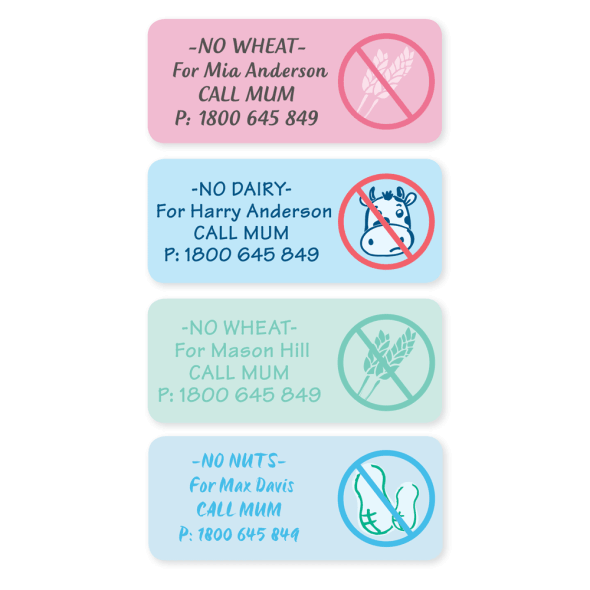 Trusted by parents for 20 years, Stuck on You ® is the Original Label Company. 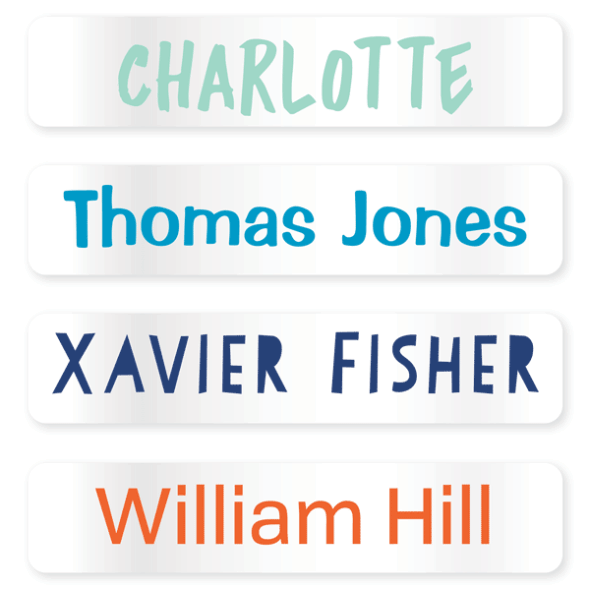 We source the highest quality materials from all over the world so that our labels stay stuck. 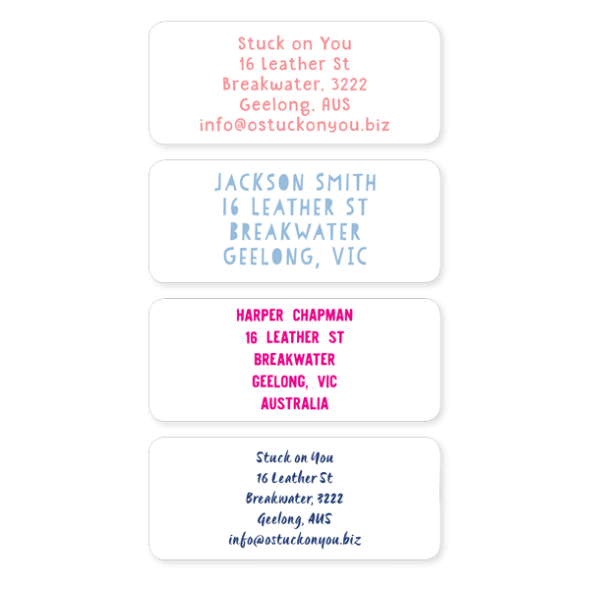 The main focus of Stuck on You ® and the factor that separates us from our competitors is quality. 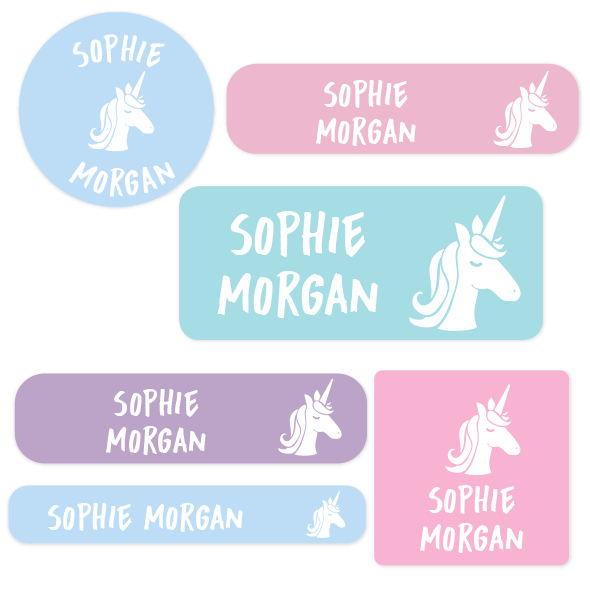 Our label material is the very best we can source and custom made for us to deliver durability, sharp clear text, bold designs and vibrant color for your labels. 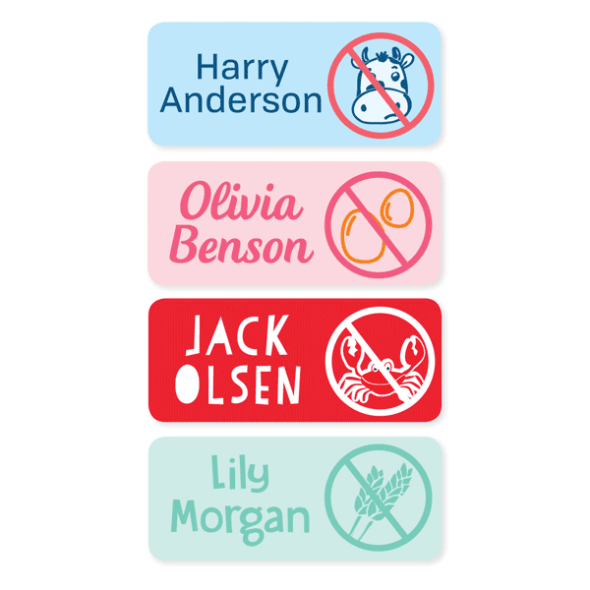 Using our product previewer makes ordering your labels easier than ever before. 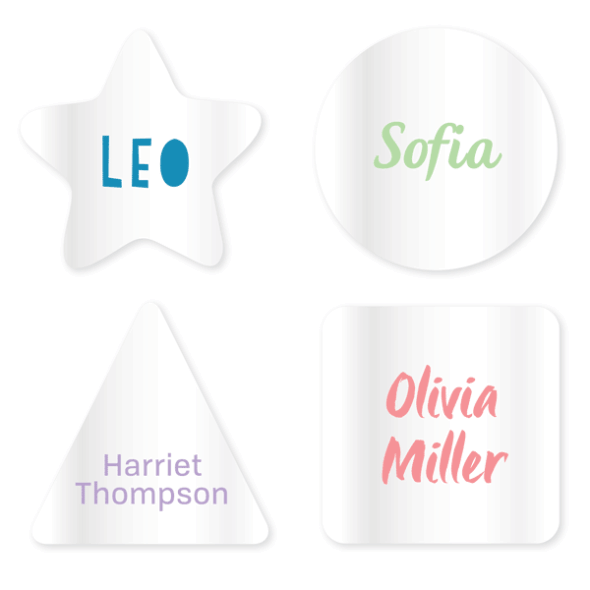 Select your labels from our range and add your or your child’s name. 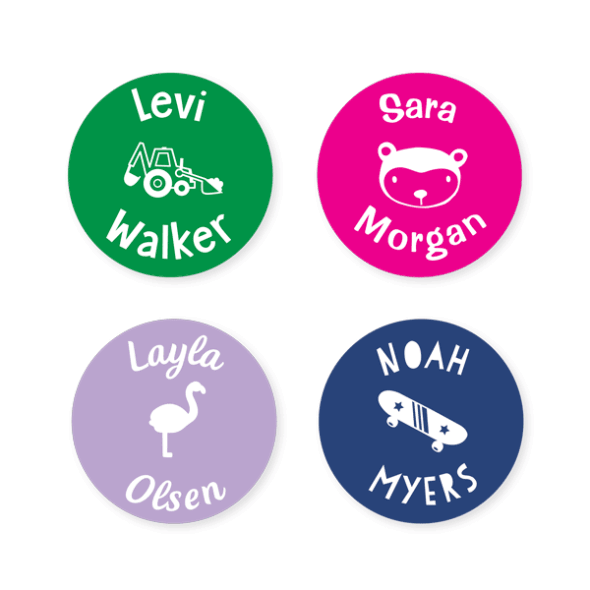 Then have fun choosing colors, designs, fonts and optional icons to create your very own personalized labels before you buy online. 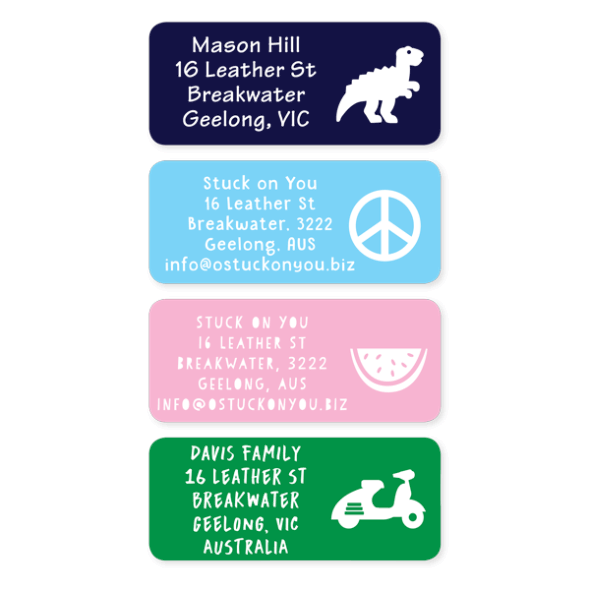 Your labels and personalsied products will appear as they have displayed for you on our website. 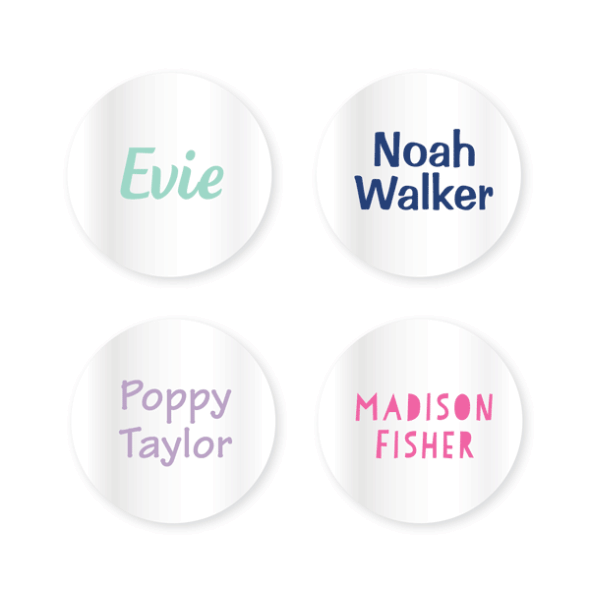 Take your time selecting colors and fonts and designing your very own Name Labels that will last for years to come. 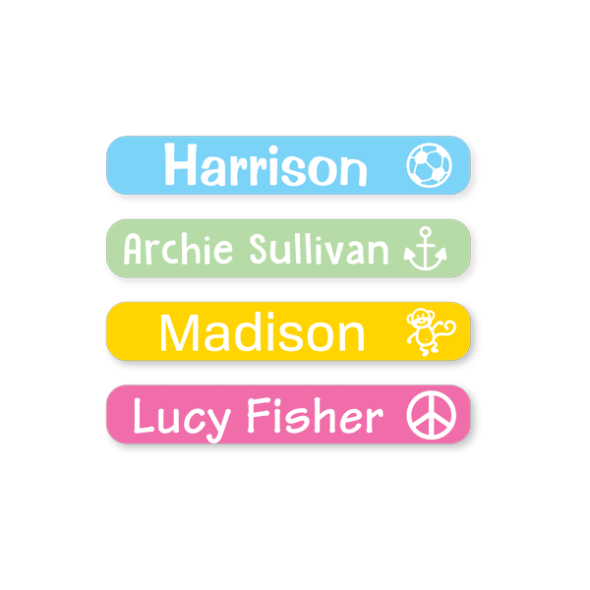 Not just for kids or school, Stuck on You ® also have a selection of labels with more simple designs. 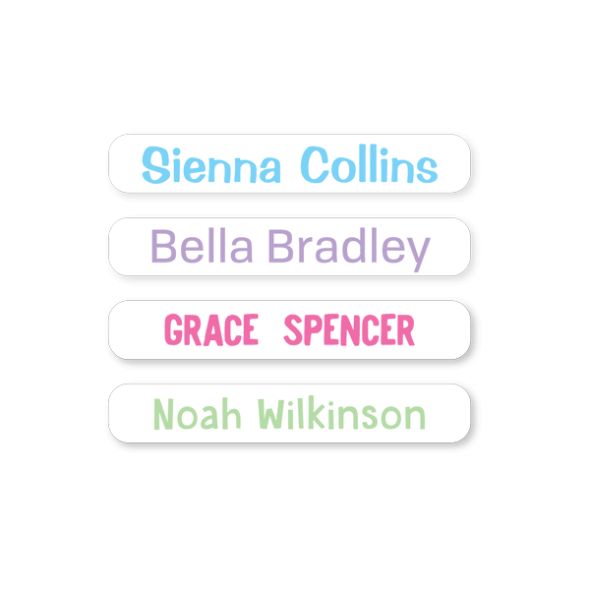 You can choose a white background with clear, plain text in a range of colors. 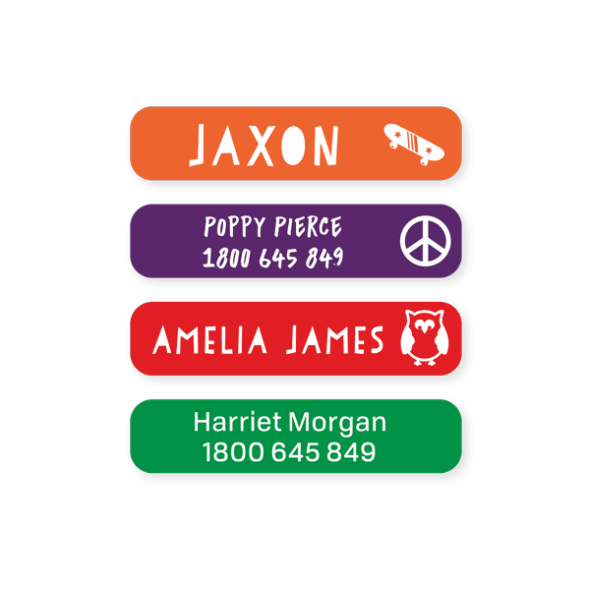 These are often preferred by older kids, parents and people in retirement homes and are made from the same quality materials as the entire Stuck on You ® Labels collection. 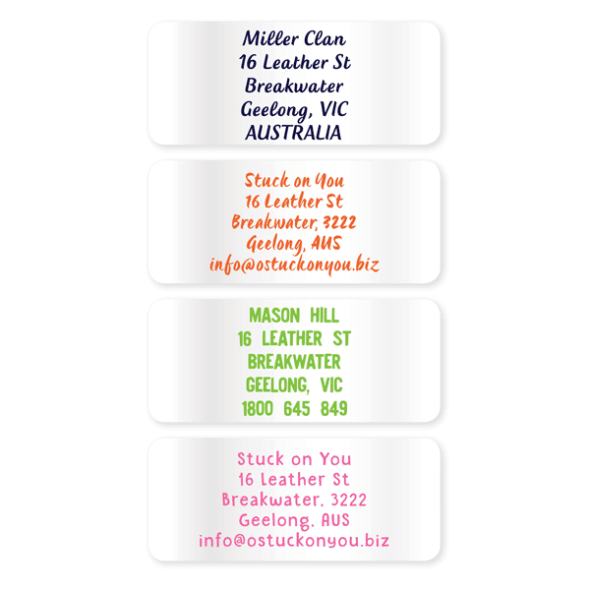 Take a look at the huge range of labels throughout the Stuck on You ® website, you will find top tips on ways to use or select your labels plus a few fun facts along the way. 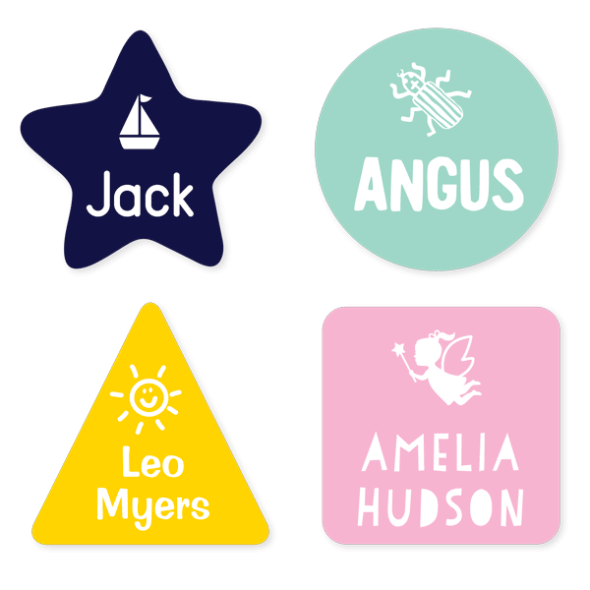 Preschool aged kids might like our Designer Labels range for their cute shapes and fun designs. 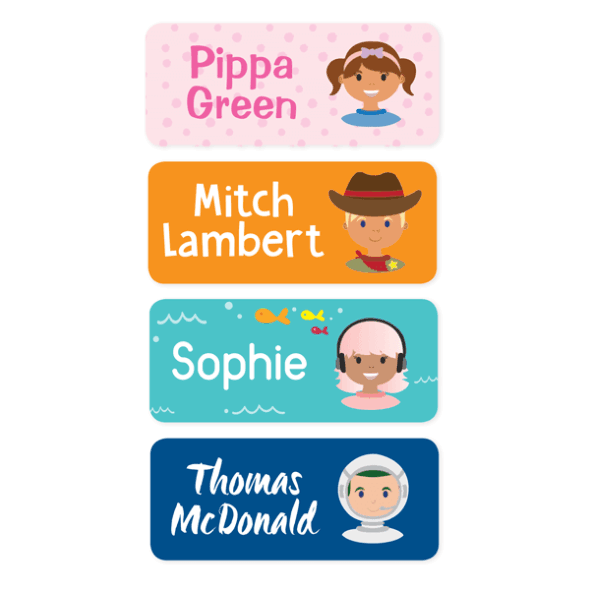 School kids might like our Classic range, they can choose their colours and add an icon to personalise their labels online. 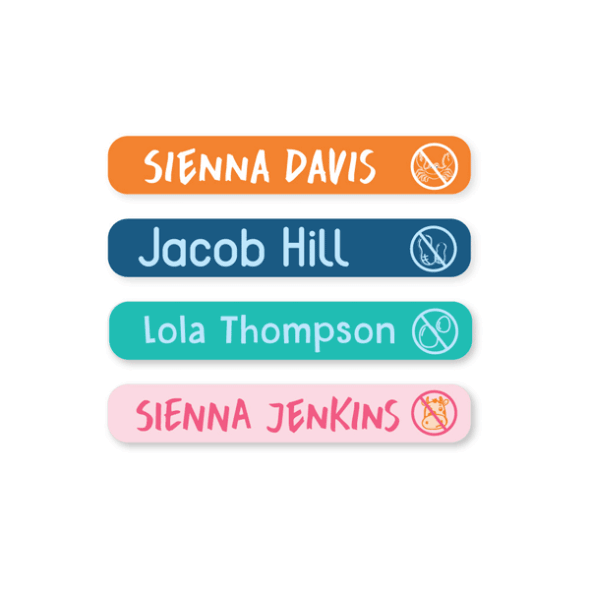 High school or older primary school kids usually like a more mature label, try our Basic Labels - where simplicity meets elegance. 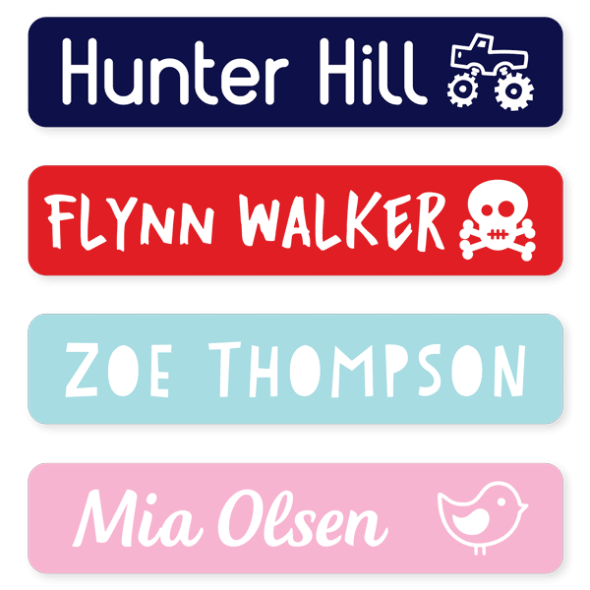 Looking for Labels for grown-ups? 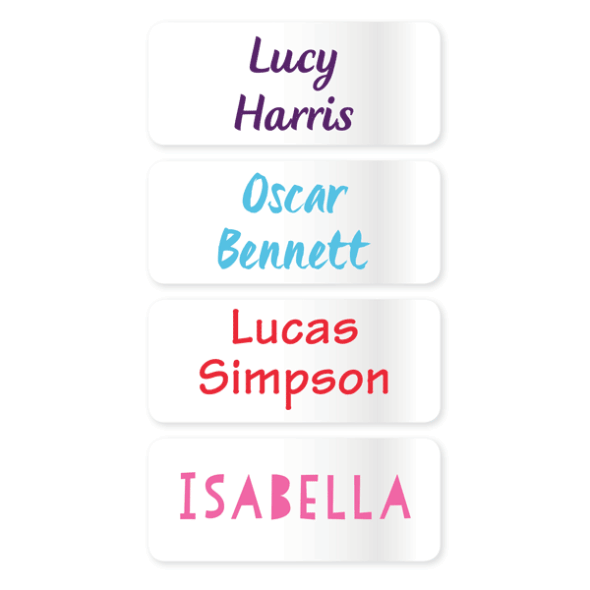 Try our Basic Labels or funky Designer Labels. 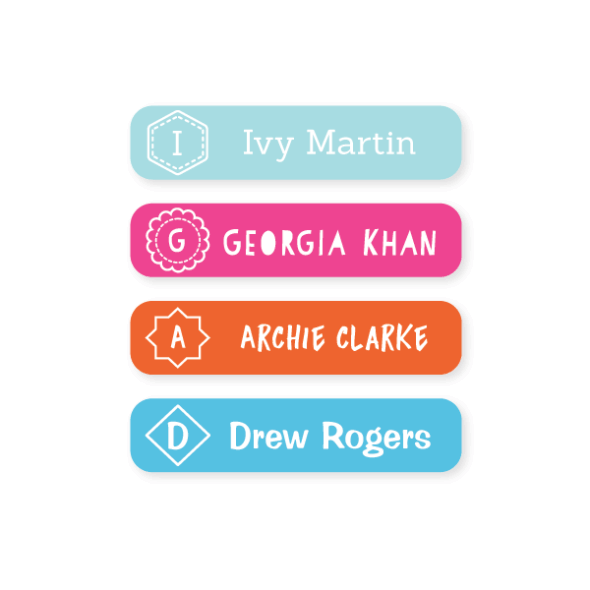 Basic Labels are a white label with your choice of text colour and font, and Designer Labels were create by our talented design team to inspire kids and adults alike. 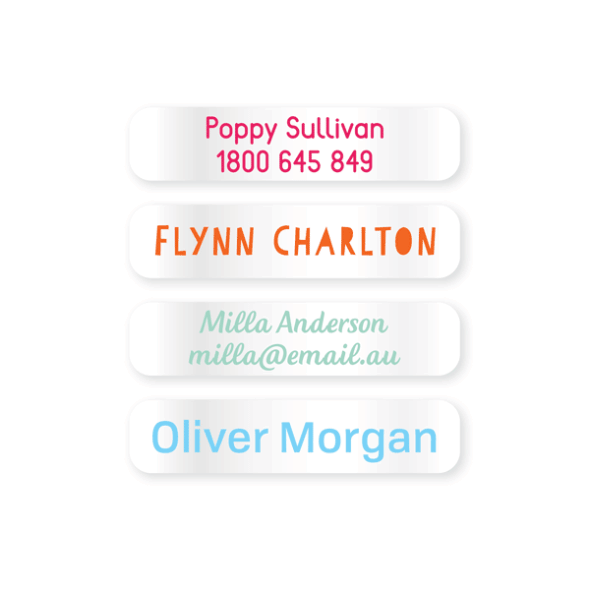 Our team is more than happy to advise you on what labels might best suit your needs, simply email us via the contact form. 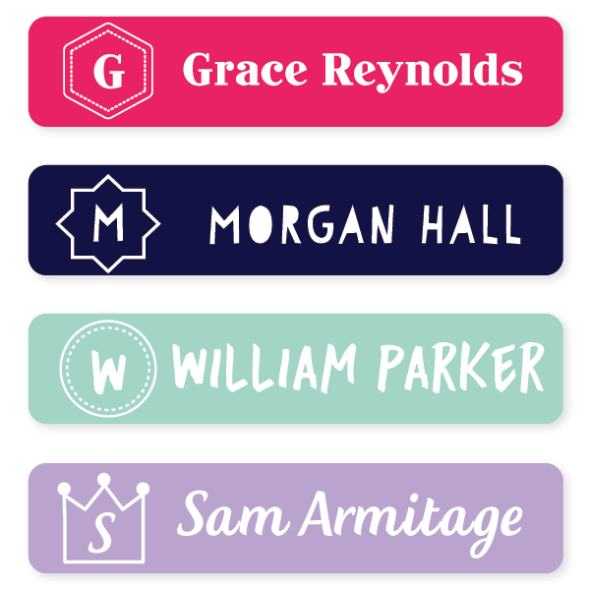 Love the labels but think prices are too steep. 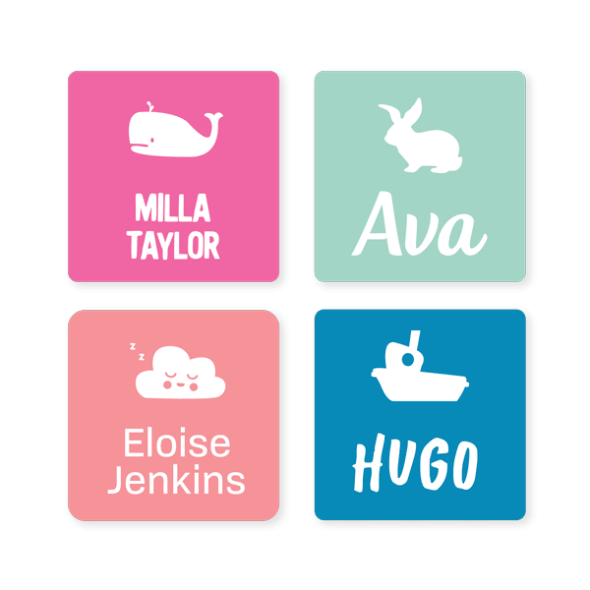 I'd order more but hate to pay so much for stickers.